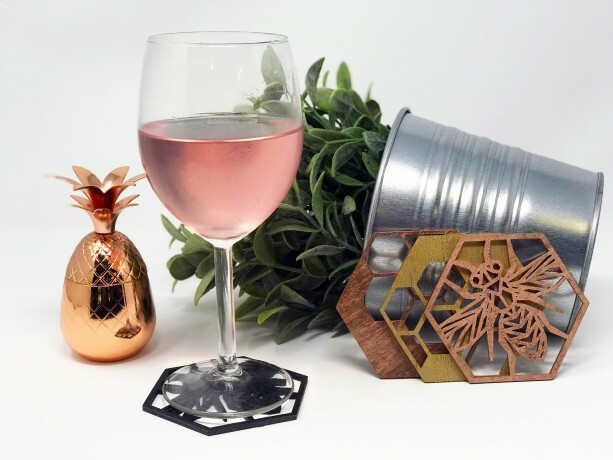 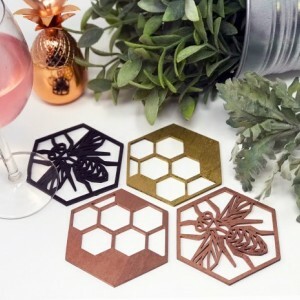 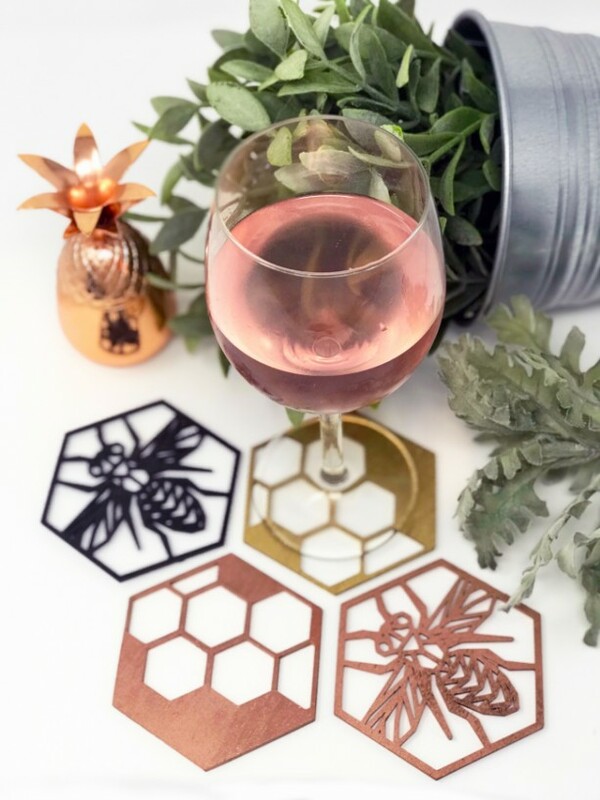 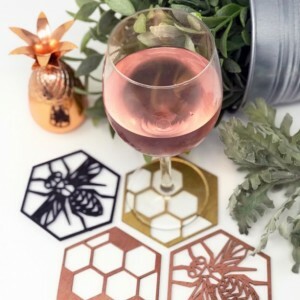 Laser Cut Wood Decor: Wilderness Collection | Wall Art | Ornaments | Wedding Decor | Home Decor | Ring Holders | Jewelry Wilderness Collection These laser cut geometric bee coasters will be the perfect addition to your home decor! 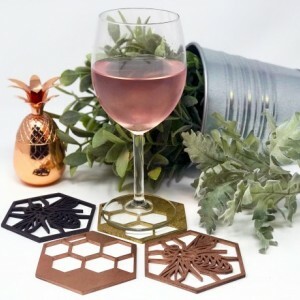 Each order comes with 4 coasters, and you can choose a color for them to be painted (or they can be left natural)! 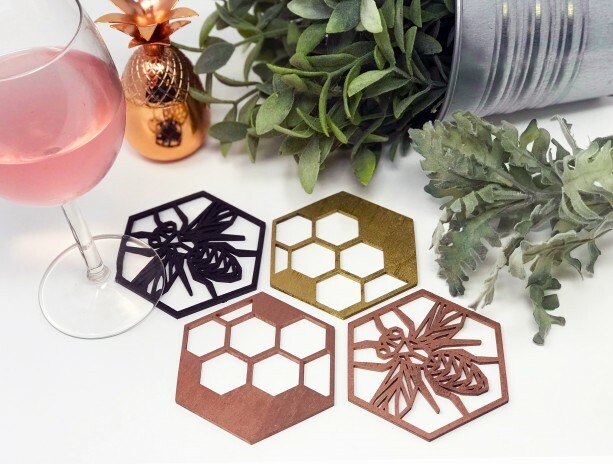 Each coaster is laser cut from birch wood, and is approximately 3.45" wide x 3.75" tall x 1/8” thick. 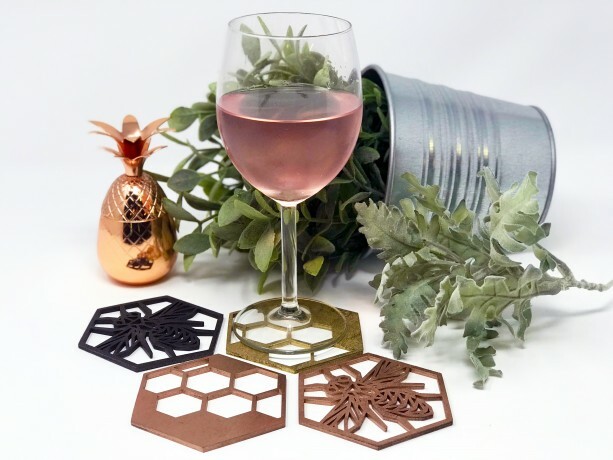 Not only is this the perfect gift to give for the Holidays, but it's also a perfect gift for yourself. 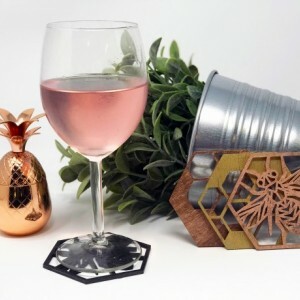 Take a look at my other geometric pieces to make your house the envy of all your friends and family. 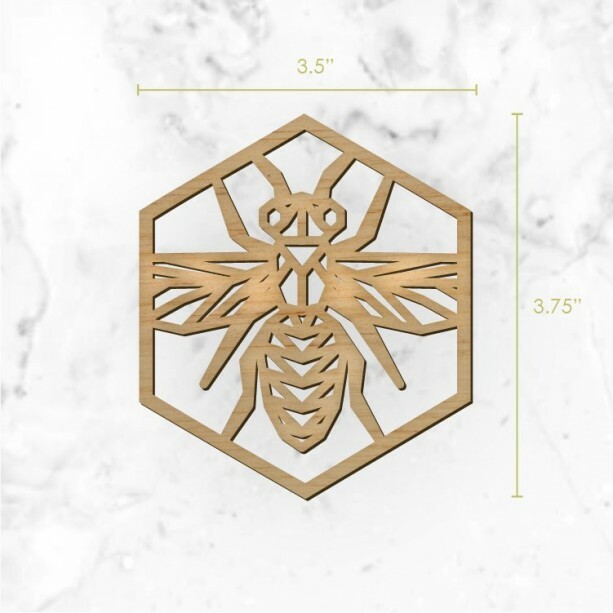 Take a look at the FAQ section for more product information, and the shop announcement will have an up to date production lead time. 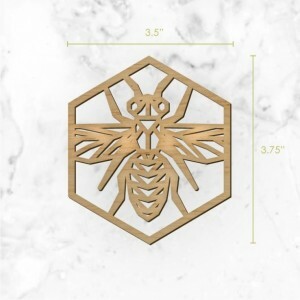 All items are created and painted in our shop.